The 4th Annual FORE! Miler will take place Thursday, May 24 at 7 pm. 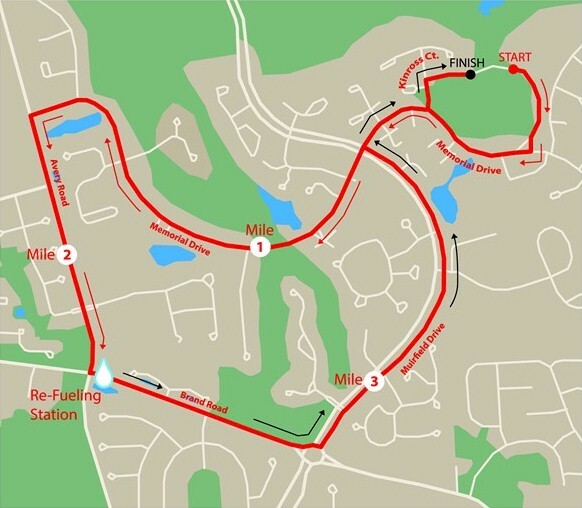 The race will follow a route that starts and ends at Muirfield Village Golf Club and includes Memorial Drive, Avery Road, Brand Road, Muirfield Drive and Kinross Court. Traffic will be temporarily detoured around all race areas from 6:30 to 8:30 p.m. on a rolling basis. Please take this into consideration as you plan your commute home and your evening activities. The City of Dublin Police Department will provide traffic control during the race. Please speak to an officer on site if you require assistance. The race map is below. Contact [email protected] or visit www.foremiler.com for updates and information.